Signing up for food stamps can be cumbersome, especially for those with limited access to transportation and internet. In San Francisco, about one in four people struggle with hunger, according to the SF-Marin Food Bank. Meanwhile, $13 billion in food stamps benefits are unclaimed every year, according to the U.S. Department of Agriculture. Through startup mRelief, people with low incomes can easily figure out if they qualify for resources like food stamps, as well as other much-needed social services. In an attempt to make it easier for people to access the resources they need, mRelief has launched an end-to-end process for people to enroll in the food stamp program in San Francisco. mRelief will launch this same service on the UC Davis campus on January 16, when students return to school. 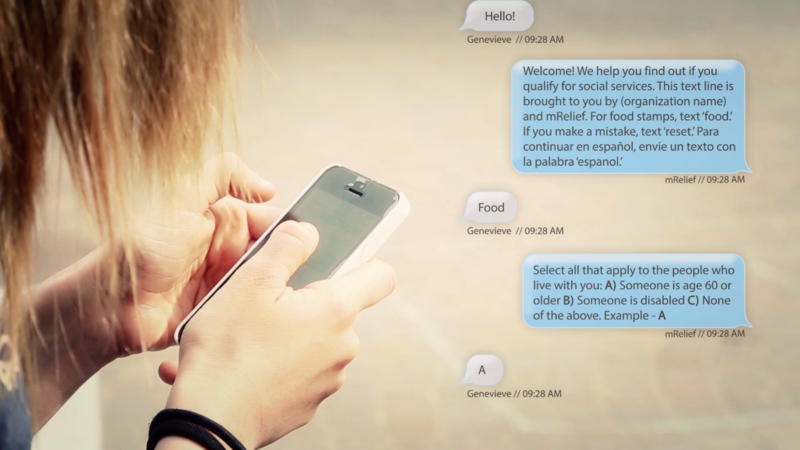 Until today, mRelief simply helped people find out if they qualify for food stamp services. Now, mRelief takes them through the entire process. The service is free to use, and mRelief offers free Lyft rides to people who need to do interviews. This launch is a culmination of contracts and partnerships with the California Department of Social Services, San Francisco County and Yolo County Health and Human Services Department. Since launching in 2016 at a Y Combinator demo day, mRelief has helped 230,000 families across the country connect to social services. 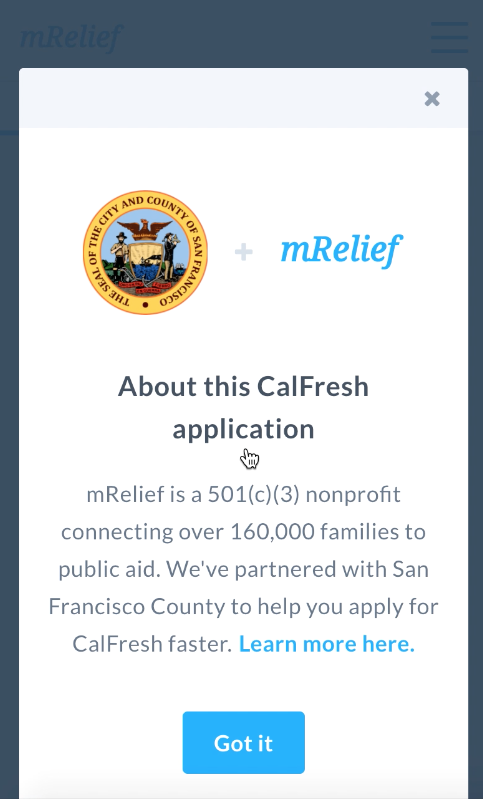 When mRelief first partnered with CalFresh, 52 percent of people applied in person. mRelief also soon learned that people spent a few hours in the office trying to get their food stamps. That’s why mRelief focused on eliminating the burden of transportation, as well as reducing the amount of time people spent in person. Now, 81 percent of its users are applying through mobile. “Our mission has long been to restore dignity by transforming access to social services,” Afriyie told me.